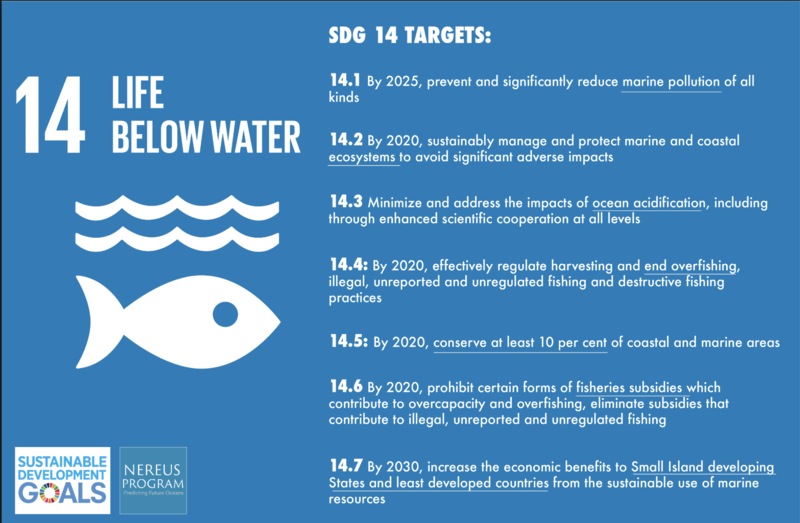 The United Nations’ Sustainable Development Goal 14 is focused on the effort to conserve and sustain the world’s oceans, seas and marine resources. It is an essential goal for the life of the planet and the wellbeing of all. The ocean feeds billions of people and provides livelihoods for billions more – including, of course, women and girls. And yet gender is not embedded or mentioned in SDG 14 as it is in most of the other goals. This is a mistake. Fishing and aquaculture are neither gender-blind nor gender-neutral. There is clear evidence that women and men in the fishing industry are treated and paid unequally. There is substantial segregation of work by gender, with men doing much of the offshore and high-value fishing, fish harvesting and aquaculture, while women are far more involved in less well-paid, or even unpaid, fish processing, harvesting of less valuable fish, sales and maintenance. Women are rarely given a seat on the local, regional, national or international bodies that deliberate on the oceans, laws and standards that affect them. Access to funding, training, education, technology, market information and the ability to start ventures are much less available to women than to men. This lack of gender diversity stifles innovation, productivity and creativity. It stifles the solutions women could offer for creating sustainable oceans and livelihoods through fishing. Women’s experiences, voices, perspectives and household lives must be included as factors in the solutions to the prodigious challenges facing the oceans. These challenges include overfishing, plastic pollution, protecting marine and coastal areas and climate change. Women are both involved and can be part of the solutions to these challenges. The value of bringing women into the heart of solving major issues has been demonstrated in the global agriculture sector globally. Women play an essential role in food production; when women are given land rights, seeds, technical training and access to markets, food productivity can rise by more than 20%. It stands to reason that a parallel improvement in productivity and sustainable livelihoods could be found in fishing and aquaculture. There are numerous reasons why women and men are treated differently, and why women are often excluded from decision-making. These include historic and culture-based biases, power imbalances, inadequate or unenforced laws prohibiting discrimination, role restrictions, lack of financial resources and control, and an acceptance of violence and harassment as norms. What is needed first and foremost is an awareness that SDG 14 is substantially less likely to be attained if 50% of the population it affects is not taken into consideration or listened to. Gender must be embedded in all elements and targets of SDG 14. Further, much more data and research are needed to uncover the ways that women are impacted in this sector. Data helps to magnify both the problems and their solutions. At present there is little gender-disaggregated data from catch to consumer to help inform policymakers, scientists and activists seeking to improve the state of fishing and the oceans. When polls are conducted, and research created in the fishing sector and on climate change, men and women’s responses should be separated and evaluated. Women4Oceans, the Gender in Aquaculture and Fisheries section of the Asian Fisheries Society and the FAO’s gender work around small-scale fisheries should be highlighted and encouraged. SDG 14 and SDG 5 need to cross-pollinate. Best practices should be highlighted and shared with an eye to learning from each other’s initiatives and research findings. As funding is sought through governments, civil society, foundations and the private sector, a ‘Women in Fishing’ venture fund or micro-financing operation should be created to encourage women entrepreneurs and to provide education and awareness. An organization such as the World Economic Forum could create and make available a repository of best practices, case studies and expert resources for the oceans and fishing sector, following on from the excellent work in its Gender Gap Report, Gender Parity Task Forces and other initiatives on education, gender and work. The Friends of Ocean Action is a unique, informal group of leaders from business, science, technology, civil society and international organizations. It is convened by the World Economic Forum with the World Resources Institute, and its goal is to help governments and the international community to fast-track solutions to pollution, overfishing and other challenges facing the oceans. Friends of Ocean Action understands there is a gender component involved in reaching its goal. It can encourage other organizations to embrace gender in their proceedings. It can continue to be at the forefront of gender parity and can ask its members to raise gender issues, ensure women are at the table, urge governments and global institutions to include gender in their deliberations and policies, and encouarge ocean and sustainability groups to focus on gender. It can inspire the creation of guidelines for other groups to follow such as asking for gender balance on panel discussions, highlight the work of scientists and environmental groups that focus on gender, work with those writing treaties or laws, and suggest that local, regional, national and international bodies have a critical mass of women in their deliberations. Women may not have all the answers to solving the challenges facing the oceans, but women’s answers must be heard if we want to make the progress that is so essential to our lives and the life of the planet.